Boston Public Schools launched a partnership Thursday with a national education nonprofit to bring a personalized math program to one Dorchester school. 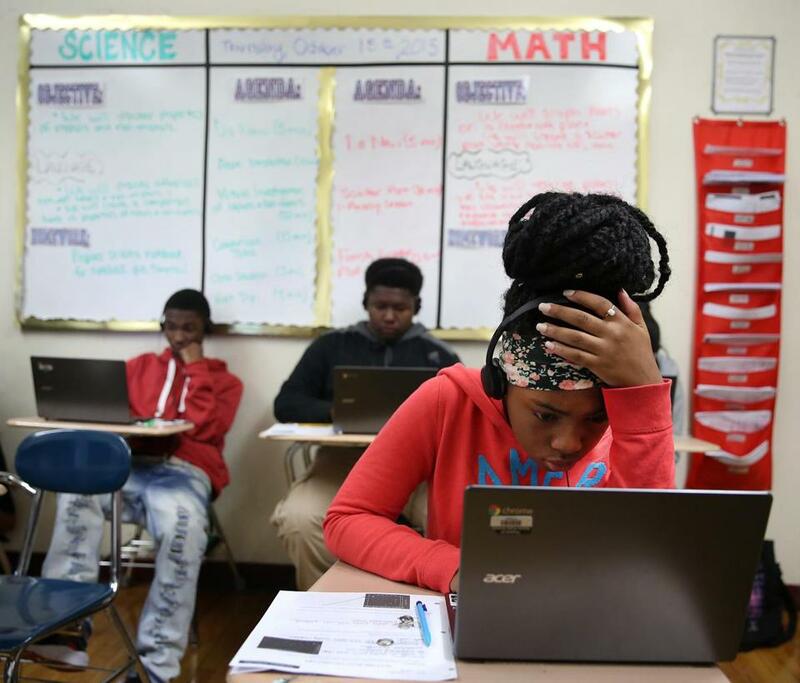 Under the program, middle-school students at TechBoston Academy will be assigned daily to one of nine instructional approaches in math, based on their performance the previous day. Mayor Martin J. Walsh and schools Superintendent Tommy Chang joined TechBoston leaders at the Codman Square school to discuss the new program, Teach to One: Math, which will provide 360 students with customized schedules and curriculum to “meet their individual math needs,” Walsh’s office said in a statement. The program provides teachers with learning resources to help them match students’ skills and address knowledge gaps, the district’s nonprofit partner, New Classrooms, said in a statement. New Classrooms said the project is part of a district-wide initiative that came about after teachers realized students were entering middle school with very different levels of math skills.